History, with its loose ends, rough edges, strange anomalies and surreal quirks, is rarely neat. 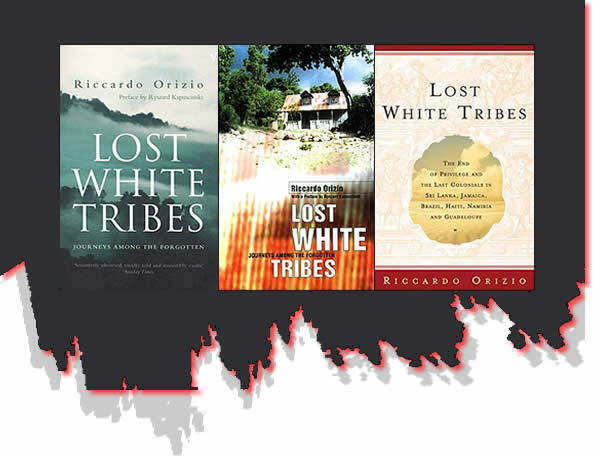 The quirky and anomalous leftover colonial communities described in Lost White Tribes are a case in point. As Milanese journalist Riccardo Orizio puts it in the introduction, the European emigrants left stranded by the retreating tides of imperialism are among today's "forgotten people". One such tribe is the Burghers of Sri Lanka, an enclave of Netherlanders who stayed East after the Dutch Empire was overrun by the British around 1800. 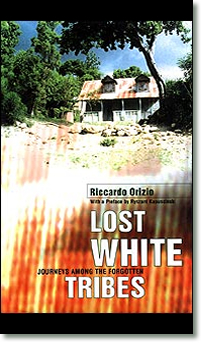 As Orizio wanders among the Burghers' crumbling bungalows and pre-war ballrooms, he finds a half-assimilated people fond of operatic melancholy and short-wave radio, prone to singing a national anthem that sums up their linguistic and ethnic confusion: "We subjects of great England's King, From Ceylon's distant strand, To thee our loving tribute bring, Het Lieve Vaterland". Other tribes Orizio encounters are equally obscure. In Brazil he meets Confederate Americans. In Guadaloupe he uncovers incestuous Normans. In Haiti, he holes up with Poles. But perhaps most remarkable is the last community he encounters: the Basters of Namibia. A miraculous hybrid of Bushman and Afrikaaner, these green-eyed, pale-faced, somehow "Oriental-looking" people, fled the British imperialists of the Cape Colony to settle in the deserts of South West Africa. There they survived, and even thrived: they became known for their devout ways, as well as the beauty of their uniquely petite women. Orizio's eloquent descriptions of the offbeat Basters--their tenacity, integrity, and bravery--stand comparison with some of the best travel writing of recent years, and are a fitting end to a profoundly intriguing book.